culture (n.) | \ˈkəl-chər \ | cul·ture | — the set of shared attitudes, values, goals, and practices that characterizes an institution or organization. At first glance it sounds simple, right? This buzz word is creating quite a stir among organizations as businesses are prioritizing their culture. But as it turns out, only 10% of companies actually succeed in building a great culture, so it must be easier said than done. Implementing and achieving a great culture for your business affects how your employees interact, future hires, and how your customers are treated — setting the tone for making your business mediocre or exceptional. Follow these tips on creating and maintaining a culture that people want to become a part of. Build your business’s vision around your own beliefs and live by them. Practice your culture daily — be the example the rest of your employees can follow. Your values aren’t only words on a wall, they’re also actions that inspire and motivate the people around you. But remember, patience is key. Rome wasn’t built in a day and your ideal culture won’t be either. Stay passionate about what you’re trying to accomplish and eventually you (and your organization) will get there. The biggest mistake leaders make is hiring team members that are replicas of themselves, leaving a wide gap in productivity and culture. Find employees that complement your strengths and weaknesses — people that bring something new to your business. Be inclusive. Create a team of different perspectives and experiences, gender, age groups and ethnicities, all contributing to your shared vision. Treat your employees as more than just employees. Care about each individual and strive for communication between everyone in your team. Showing someone you care about them by simply asking a question about what’s going on in their life creates trust and unity so your employees are working together instead of for themselves. Try implementing team building exercises and outings (like local volunteering or a baseball game!) so that your team members are spending time together in different settings outside of the office. Free lunches, foosball games and team outings (all things Array loves!) aren’t culture, your core values and vision are. But with that being said, don’t forget to have fun! Your team works hard, and doing things that allow them to relax and take a mental break will go a long way. Figure out what your team enjoys and implement some of those activities into each work week. Follow this rule of thumb: happy employees create a happy workplace and in turn build you a great company culture. At Array, we prioritize our culture. Our team is built from individuals, each with their own strengths and personalities, all working together seamlessly. We work long days but know how to have fun too! With endless ways to build your perfect atmosphere, you have the ability to create a culture unique to your business. 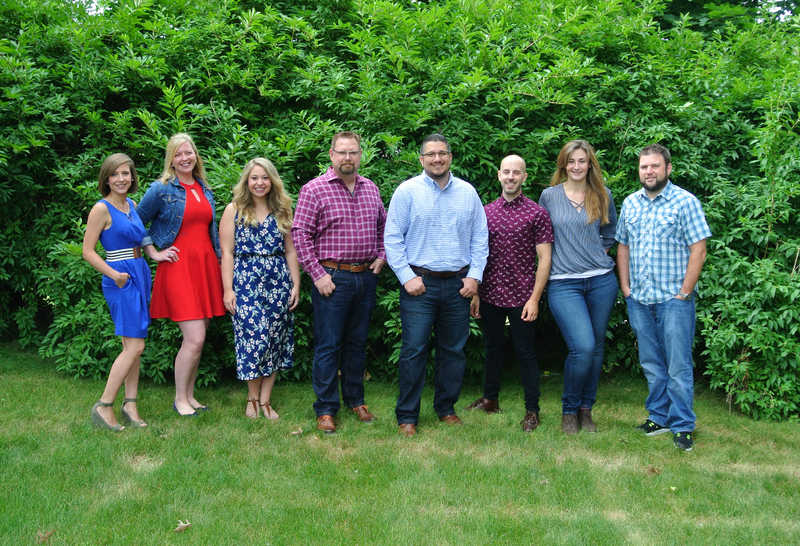 For more ideas, check out Hubspot’s top 10 agency cultures and why they’re thriving. Get inspired and use a tip or two. Your business can’t (and shouldn’t!) replicate any other, so find what works for you and stick to it. You’ll thank yourself in the long-term.